The life of a geisha was highly coveted for Japanese women. 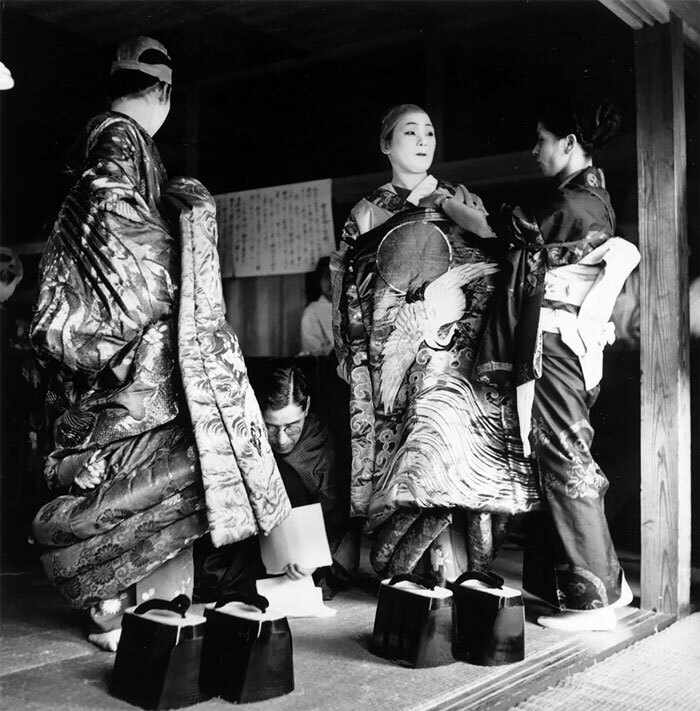 One hundred years ago, there were about 80,000 geishas in Japan. Today, there are only around 2,000 who uphold the strict traditions of this unchanged, fascinating world. 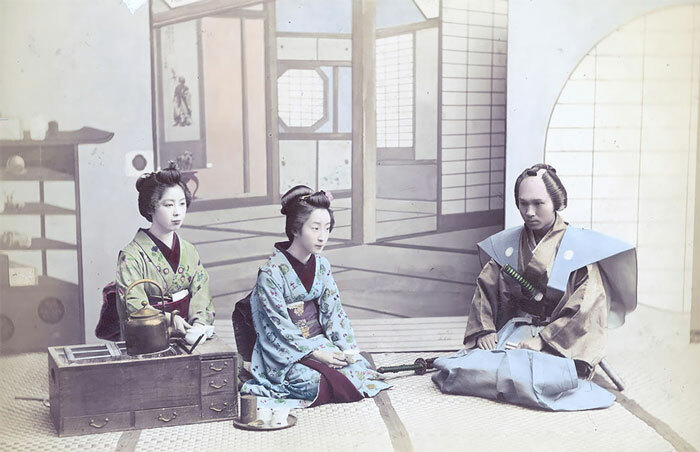 Two geishas receive a visiting samurai, Japan, circa 1880. 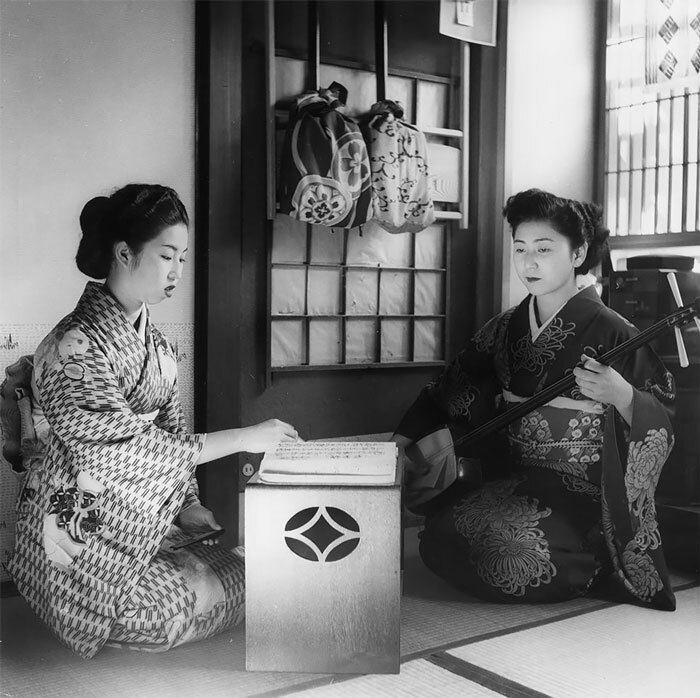 Two Geisha Girls, professional Japanese entertainers, practising their art; one is playing a samisen, a traditional Japanese stringed instrument, circa 1950. 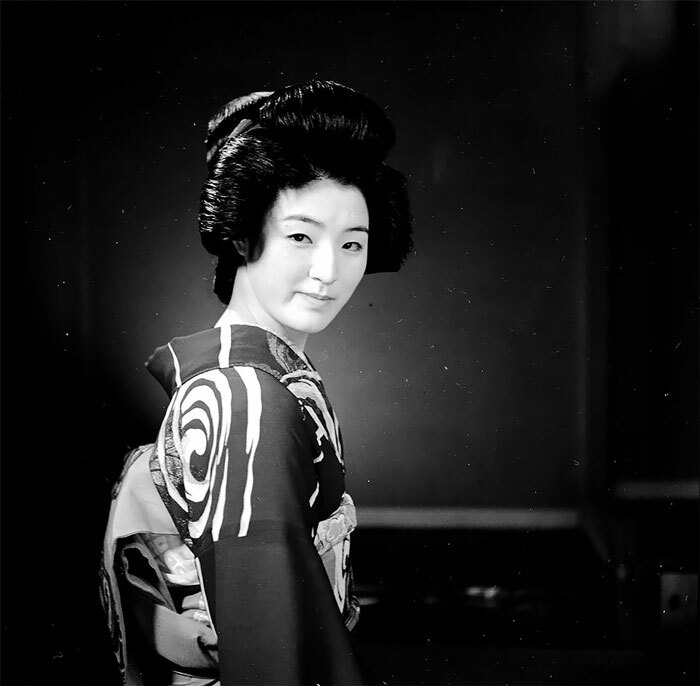 A typical Japanese Geisha wearing a kimono, circa 1950. 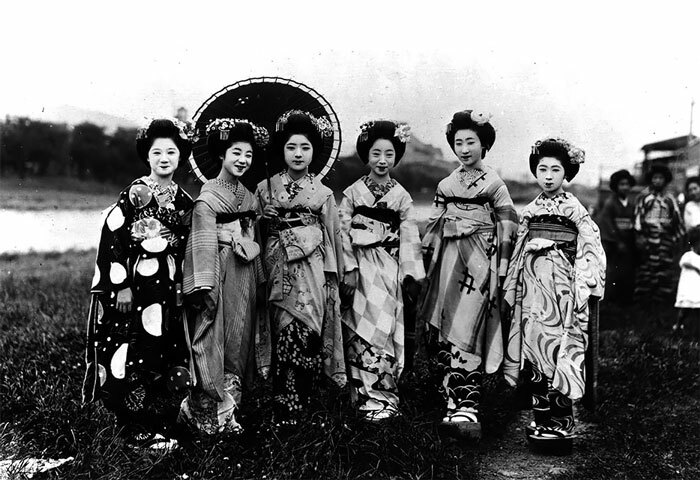 A group of Japanese Geisha girls in traditional costume, November 1937. 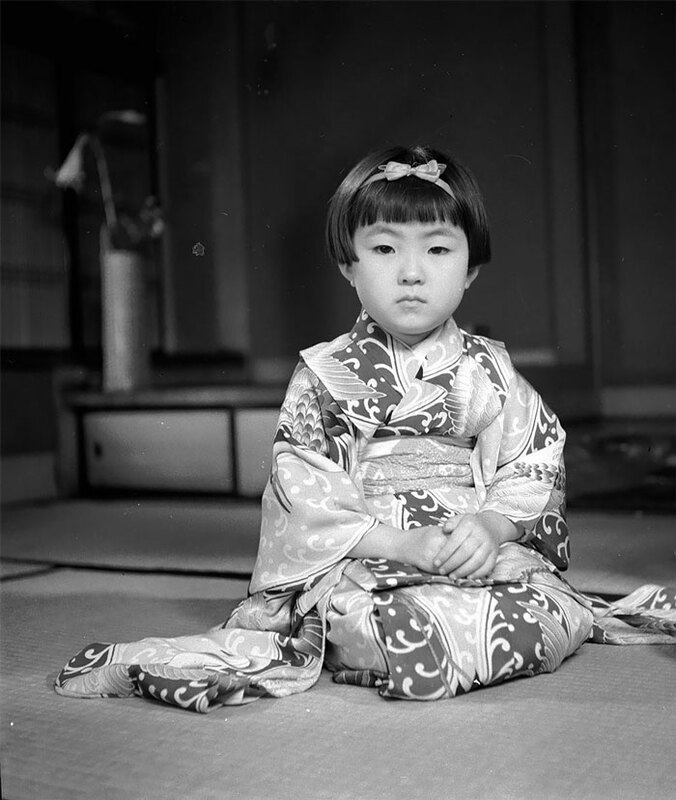 A child wearing a typical Japanase Geisha kimono sits in a Geisha pose, circa 1950. Japanese geisha girl without the traditional make-up, circa 1900. 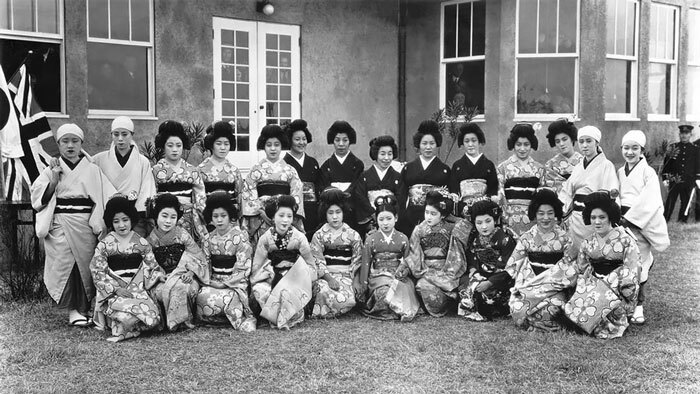 A group of country Geisha and maids in a rural town, circa 1943. The spotted overalls they wear for protection when working in the fields or about the house are called Mampei. 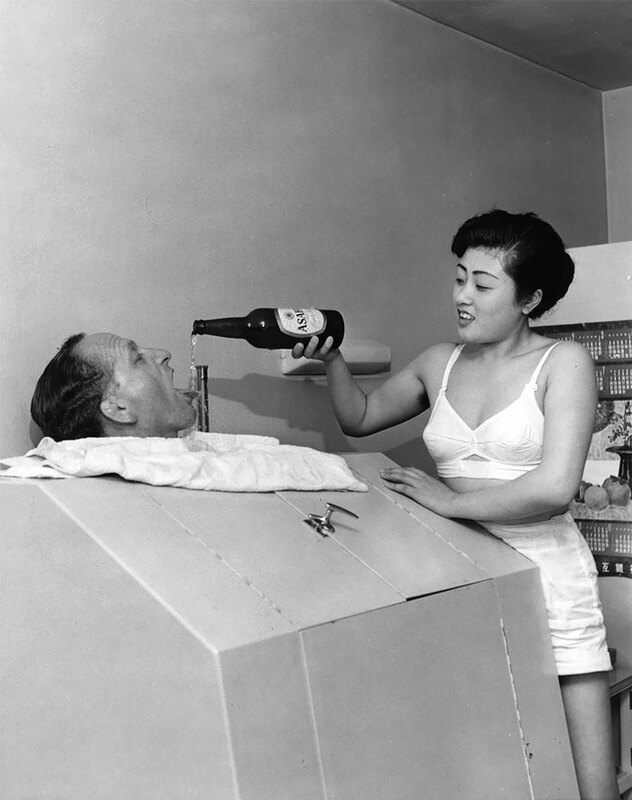 A western visitor enjoying the services of a Japanese Geisha Girl, circa 1955. A group of geishas at Beppa, Japan, 8th March 1920. 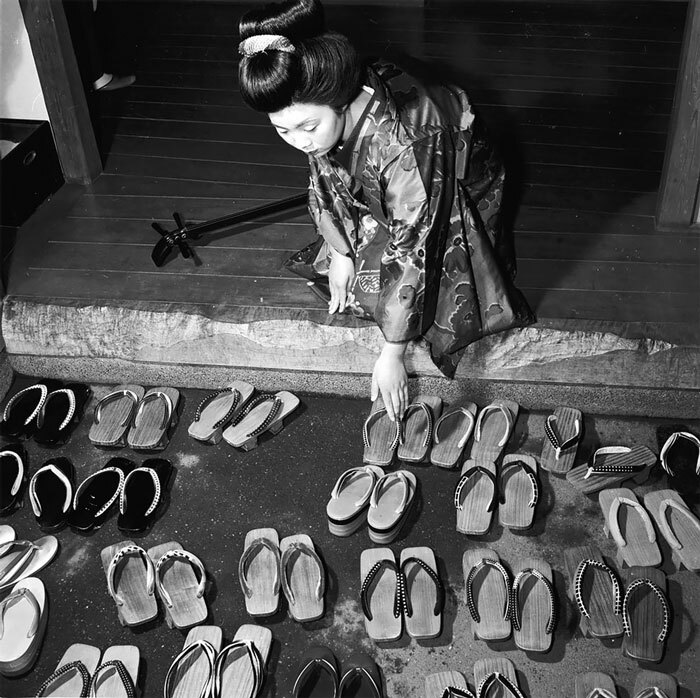 A geisha girl arranges her selection of footwear, circa 1955. 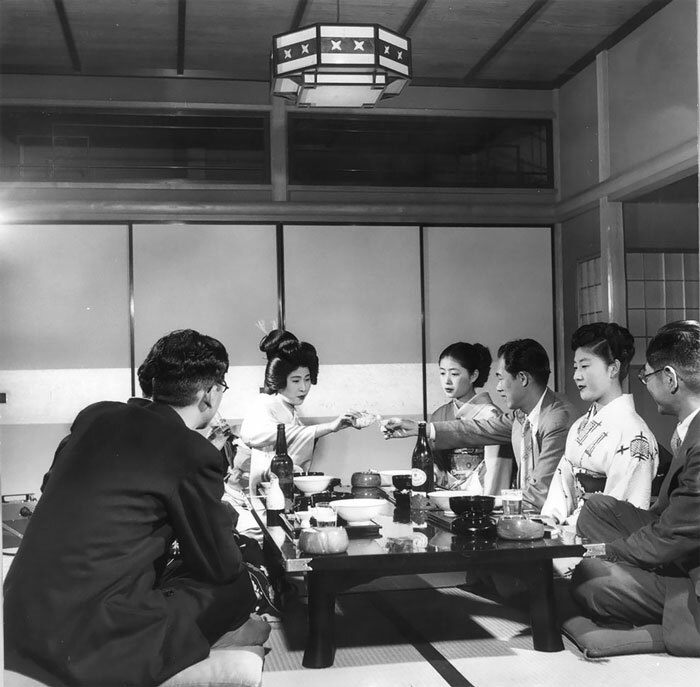 Geisha girls entertaining a group of men and ensuring their cups are kept full, circa 1955. 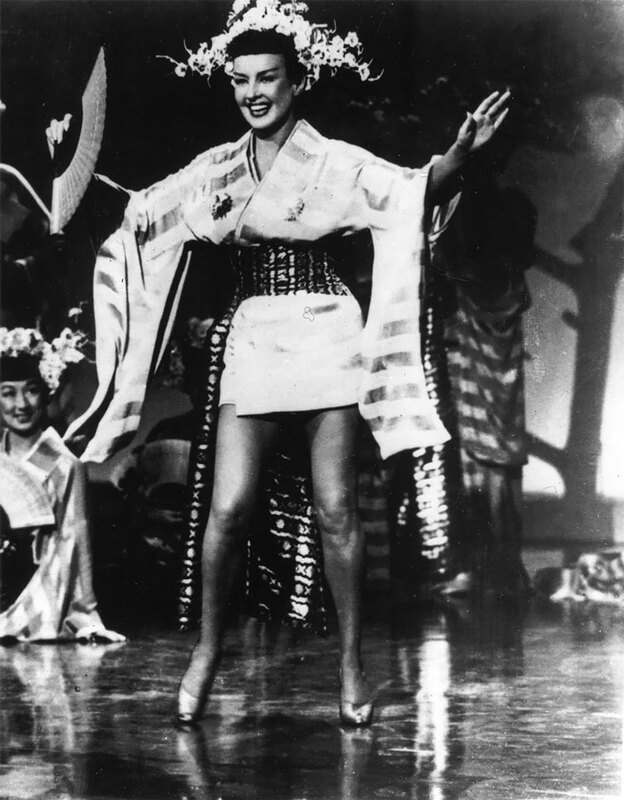 US actress Betty Grable (1916–1973) as a geisha girl in a scene from the musical “Call Me Mister” directed by Lloyd Bacon, 2nd January 1951. 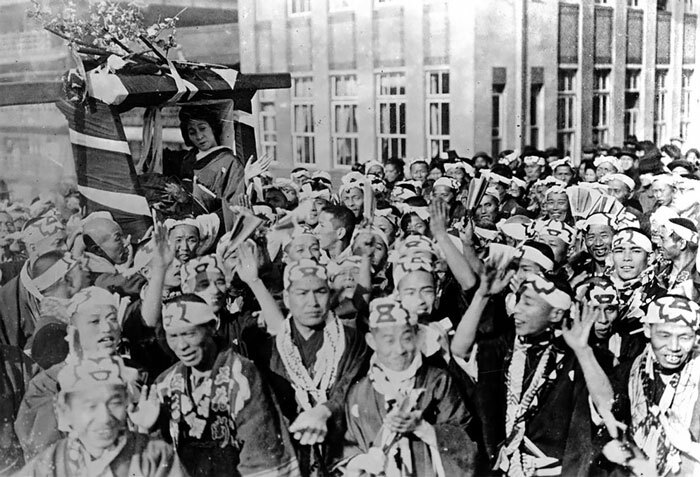 A Japanese geisha is carried through town during Osaka’s Yebisu Festival, 1928. 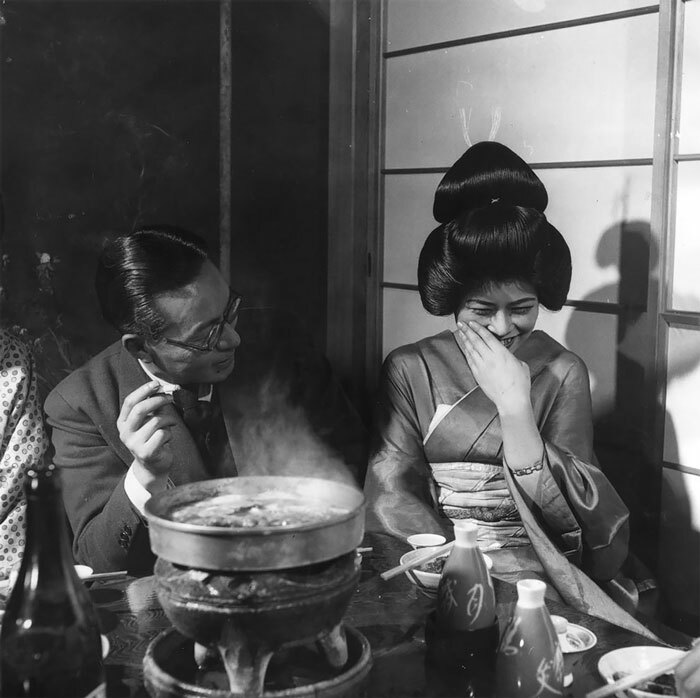 A Geisha girl pouring a drink for a visitor, circa 1955. 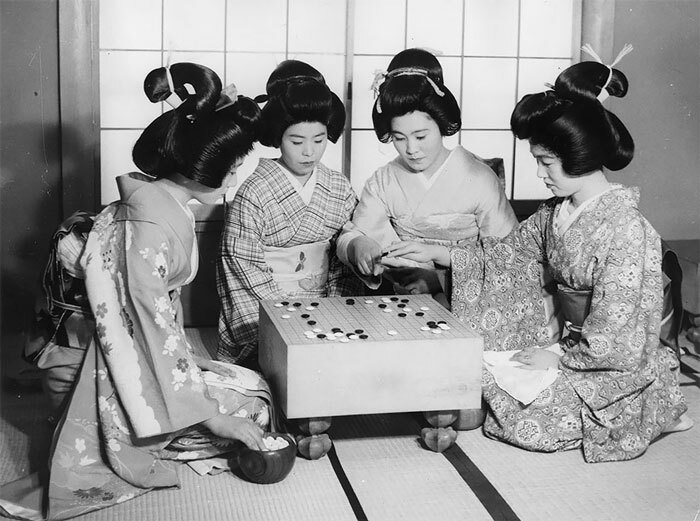 Japanese geisha girls playing the traditional game called Go. 2nd May 1957. 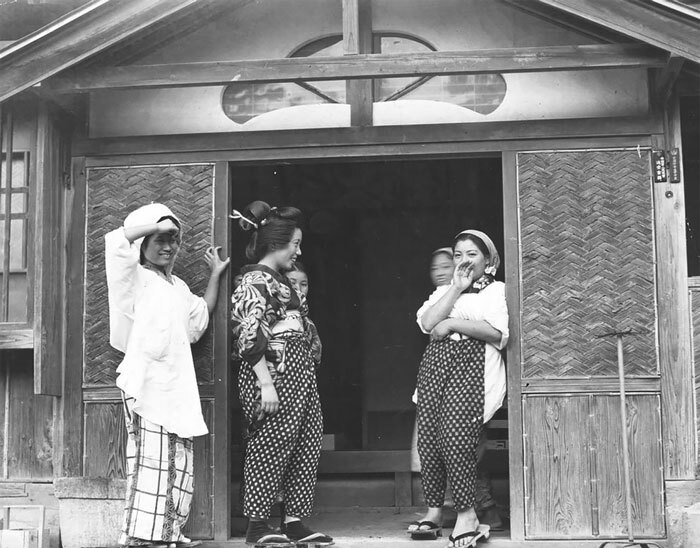 A geisha girl laughing shyly and politely at a joke, circa 1955. 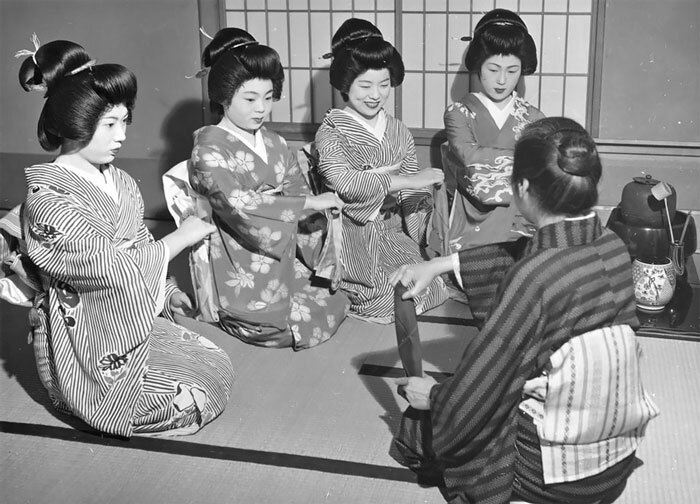 Japanese geishas form a trade union in an attempt to improve their working conditions, circa 1935. British born film actor Cary Grant (1904–1986) watches as an extra is taught how to walk like a Japanese geisha during the making of his new film “Madame Butterfly”, 1932. 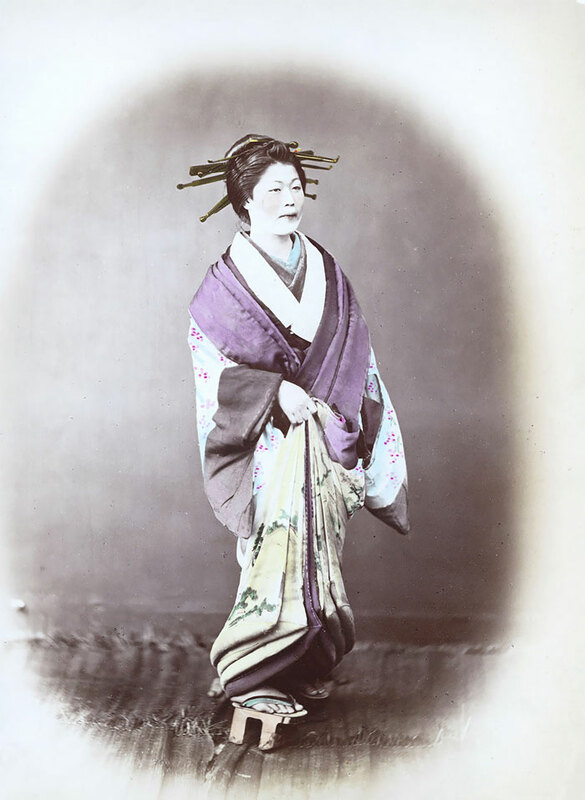 A Japanese courtesan or geisha, circa 1865. Japanese geisha girls without their wigs, circa 1950. 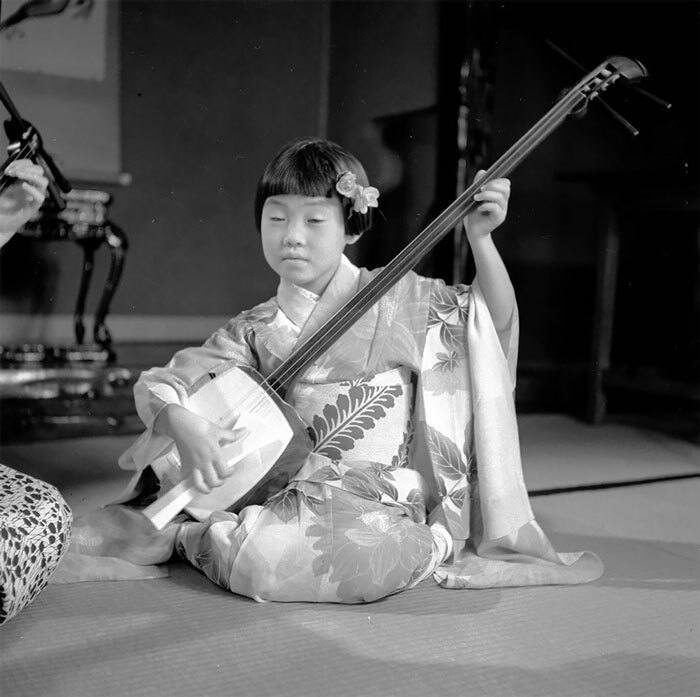 A young girl wearing a typical Japanese Geisha kimono sits playing the “Samisen”, a traditional Japanese string instrument, circa 1950. 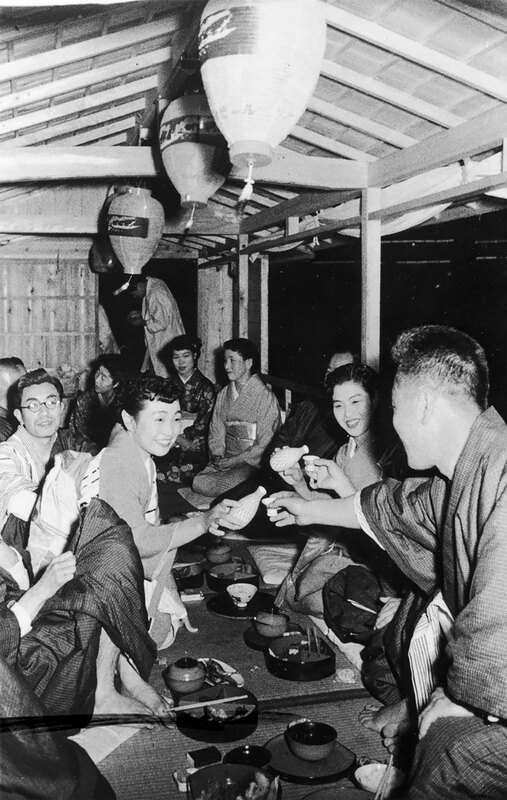 Japanese Geishas wearing Kimonos serve tea in a lounge on board a boat sailing on the Nagara River, circa 1950. 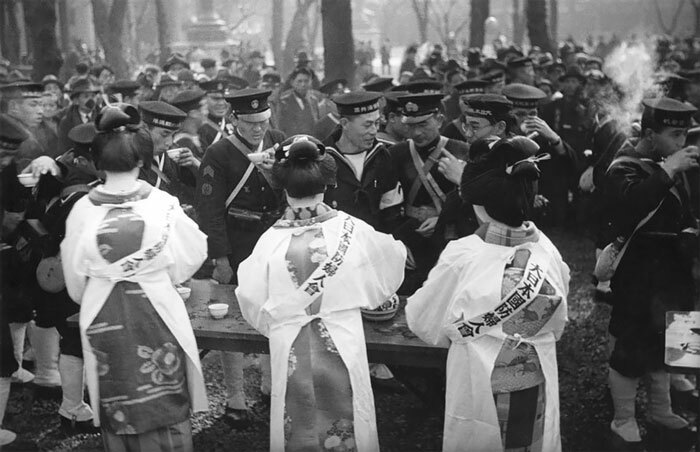 Geisha girls, wearing aprons over their kimonos, serving Japanese sailors on Tokyo Navy Day, circa 1937. 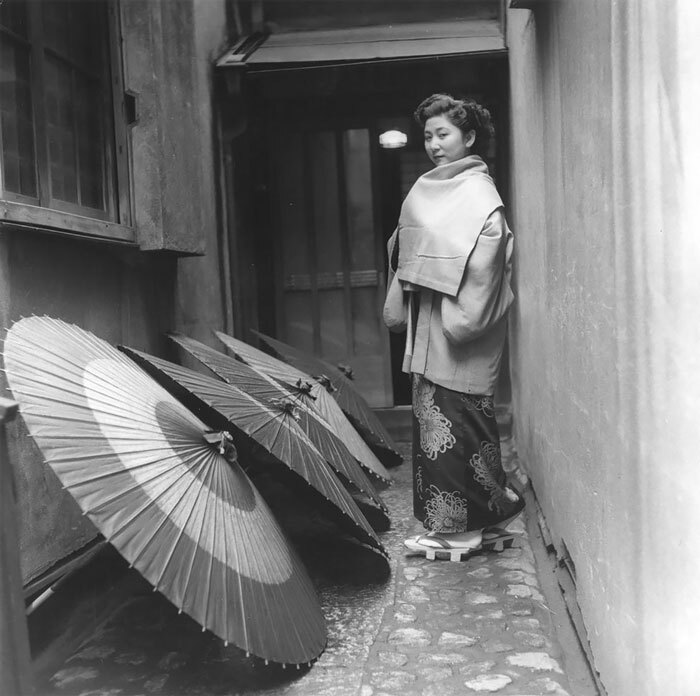 A geisha going home and passing a line of drying umbrellas in the alleyway, circa 1955. 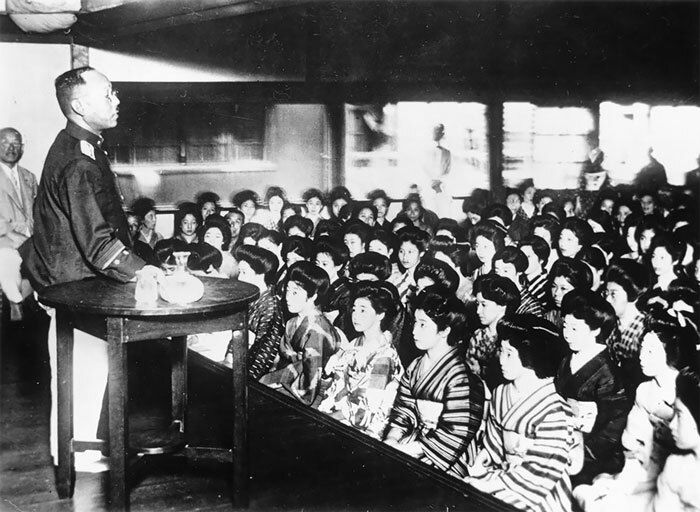 A group of geisha girls being instructed by their teacher, circa 1955.